You can make this very easy homemade barbecue sauce, adapted from Stephen Raichlen’s barbecue sauce recipe. It takes about 5 minutes to put together, and just 10 to 15 minutes to simmer. If you transfer the sauce to a clean jar and store in the refrigerator, it will keep for several months. Drumsticks are one of the least expensive cuts of chicken you can buy, and of course, kids love them because they are meant to be eaten out of hand. 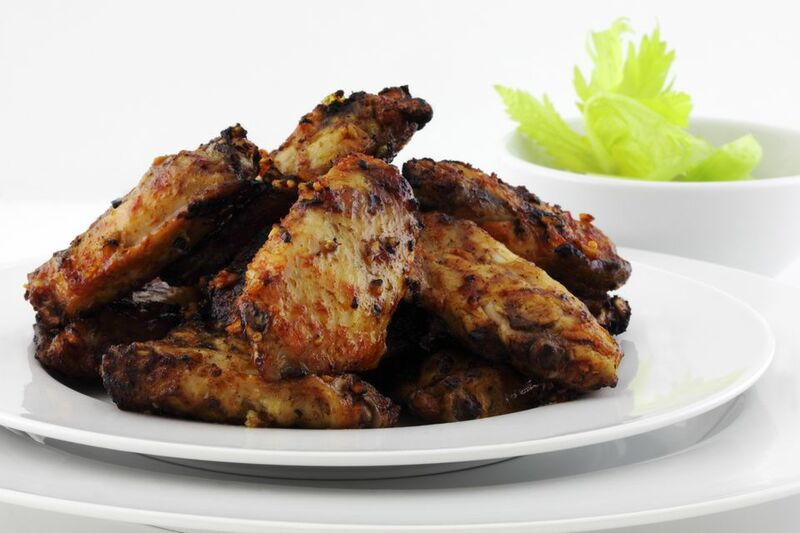 They are cheap because they are the dark meat parts of the chicken, and in general many people prefer white meat, but to skip the dark meat is really to miss out. When they are on sale, you will be amazed at how economical a big batch of drumsticks can be–and they look very nice piled up for a party. Cooking the chicken at a low temperature allows the meat to become tender and stay juicy, without the barbecue sauce turning too brown, and possibly burning. Make sure to line the baking sheet with aluminum foil, and spray that with nonstick cooking spray, both to prevent sticking and also (maybe more importantly!) to make clean up a snap. Preheat the oven to 300 F. Line a rimmed baking sheet with aluminum foil, and spray the foil with nonstick cooking spray. To make the sauce, combine all of the ingredients except the drumsticks in a nonreactive saucepan and slowly bring to a boil over medium-high heat, stirring frequently. Reduce the heat to medium-low and gently simmer until dark, thick, and richly flavored 10 to 15 minutes. Place the chicken drumsticks into a large bowl, and pour over the sauce. Toss the chicken in the sauce until well coated. Using ​tongs transfer the chicken to the prepared baking sheet, leaving any remaining sauce in the bowl. Make sure the drumsticks aren’t touching.